Have you, like me, thought you were the only one in the world who lived a life that's not the way you planned but you're living it because of other people's choices? Then this book is for you! I was very encouraged by all the stories of different people living with the aftermath of choices other people made. It made me see how we're all affected by other people all the time, but it's our reaction to our situation that makes the difference and this is what Cynthia's book does for us. She helps us to see how we can react in a peaceful way, knowing that the Lord is with us through these circumstances. Each chapter has a story about someone whose life was changed because someone else made a choice that affected their life, too. She tells their story and then at the end of the chapter, she has a Reflection where she asks questions we can reflect on and answer. 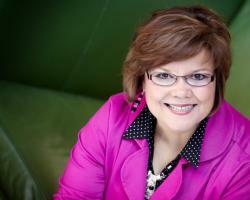 She also shares Scriptures that apply to the situation, which is very helpful. Then she has a section after this about if you know someone who is going through the same situation and what you can do for that person or say to that person. This was extremely beneficial because we all know someone who is going through something and sometimes, we have no idea of what to say or do. This book is full of hope and full of direction, which is especially helpful when you're living a life you wouldn't have chosen, but are anyway because of someone else. I loved that Cynthia also shared her own story at the end of the book. I always love when author's make the book personal in their sharing. This is a book that I will definitely pick up again when I need the wisdom for my own situation or a friend's situation. I highly recommend it! Julie, your words made my heart sing. 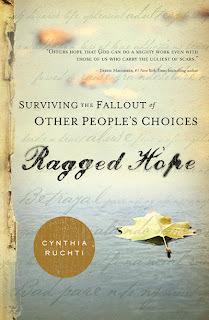 Thank you for reviewing Ragged Hope and for offering such wonderful encouragement both to me and to prospective readers.